In honor of my approaching five year anniversary as a San Francisco resident, I’ve decided to write about how living here has been so far. As you can tell by the title, I truly love this city, at least I do right now, we have had our ups and downs as in any love relationship, we have had good times and bad. Today we went looking at an apartment for rent in the Castro and it got me thinking of what living in San Francisco really is like and how each neighborhood has its own identity and charm. Having lived in Noe Valley for a little more than three years, the thought of living in the Castro is both exciting and a little terrifying. I’m excited by the idea of living in the historic Castro, the symbol of everything we San Franciscans stand for, the home of Harvey Milk and iconic Mission Dolores Park. I’m terrified by the thought of giving up my current neighborhood and my neighbors but also by the thought of walking my kids in the stroller and not being met by the understanding eyes of other Noe Valley parents. Well let’s start at the beginning, I will try to be brief, as my toddler is sittning in my lap and my little one is dragging at my feet, at this very moment. Our first apartment in SF, was located on Polk and Clay, (Polk Gulch area, Nob Hill), centrally located among bars, restaurants and cute little shops. A couple of times a week, we would go out to eat at our neighborhood restaurants, like Co Nam, the more upscale 1760 Polk, or one of favorite Italian places, like Milano, Nob Hill Café or Frescati. Whenever we had friends visiting from Sweden, we would take them for drinks at Top of the Mark, so they could see the view. I found a wonderful little yoga studio in Russian Hill and I used to take long walks along Crissy Field so I could see the Golden Gate Bridge every day. I had walking distance to downtown, to Chinatown, the Marina, Pacific Heights and one time I walked all the way to Leighton of Honor, just because. Our little one bedroom, despite its many flaws, was wonderful. We weren’t planning to move until one summer, when brown water started dripping from the ceiling in our bathroom. This was also around the same time we found out I was pregnant and it made most sense to live closer to my husbands job in order for him to spend more time with the baby. So we looked south. And we found Noe Valley. At this point, I had limited familiarity with most of San Franciscos residential neighborhoods and was only familiar with places that hosted either good food or good shopping. Having that said, Noe Valley was quite the adventure, we even had to take the bus to get here, as it’s not walking distance from Nob Hill. During one Sunday, we saw three different places, all 2 bedroom and priced fairly equally. Our Noe Valley adventure started out with some very disappointing viewings which continued mold, stains, smelly carpets and DIY kitchen projects, in general, homes that would fit perfectly as the “Before” in a fixer upper TV show. What someone who hasn’t been apartment hunting in SF might not know, is that there is a tremendous demand for rentals and that the quality of them varies a lot, all from luxury new construction buildings, to beautifully maintained Victorians, to basement in-law units with no windows. Rental prices however don’t vary as much and regardless of quality, they are always and by all measurements outrageous. If you’re reading my blog, because you’re into fashion, I can describe SF rentals like this: quality is Zara, but price tag is Chanel. We had nearly decided to live with the brown water dripping, when we saw the third place, which by no standards was a two bedroom, although listed and priced as such. It had been renovated somewhat ten years ago and was well maintained by a sickly meticulous landlord, who’s obsession for details has, since we moved in, almost driven us crazy. Beautiful and with a view of downtown, it was love at first sight and we had to take it. Over these three and a half years, we have grown to love our neighborhood more and more but our apartment less and less. What was once plenty of space for a couple is now not enough space for a family of four. With two little girls and a steadily increasing number of toys, it’s obvious that we need to move. This was the view from our current place when we moved in, before the Sales force tower and additions to CPMC St Lukes. So we’re back at the house hunting adventure. This time around, we feel more confident and know exactly what we’re looking for. Since we also considered buying a house about a year ago, we have seen quite a share of San Francisco homes. But it seams rather impossible to find a home that has everything we’re looking for and a compromise is inevitable. Safe neighborhood and a nice standard are on top of my list, but closeness to playgrounds, grocery stores and walkability are also good to have. Then there are the other two requirements that really limit our scope radius; easy to commute to my husbands job in South Bay and our budget. After reading this far, you might think, are there really no good places in SF? Well of course there are. A city that is home to some of the worlds wealthiest people; startup founders and CEOs, all so well known to most people, that it is therefore redundant for me to mention them, you’re sure to find palace like houses, that would make the houses in the MTV Crib show (if you’re my age and used to watch that) seam like little play houses. But as a renter, even if you’re budget is reasonable for this area, you’re bound to compromise either on neighborhood, square footage or quality. And if you want your rental home to have it all, you have to spend quite a lot of money, see some adds below. How about this Russian Hill Gem? You need to have some vivid imagination and excellent cleaning skills to imagine yourself living here. Or how about these places? Hefty price tag on that view. These are great ads, nice pictures, fair prices for the good neighborhoods. They will typically rent out the same day as the viewing. Despite the difficult housing market, I cannot express the many ways that I love San Francisco. And after almost five years here, I can without doubt say that I would feel at home in almost any neighborhood. Imagine having the fresh air and smell of pine trees of the Presidio outside your door. If I would live in the Richmond, this is where I’d take my morning walk. I would love the easy beach access and the closeness to Golden Gate Park from the Sunset. I would eat myself happy in the Mission or even happier in the Italian food Mecca of San Francisco, North Beach. I would feel very much at home in Pacific Heights and the shopping in the Fillmore area. I would wear Lululemon yoga pants all day and pretend to be a young and fit Marina girl in the Marina and Cow Hallow. I would enjoy the view of the bay from a Russian Hill Victorian home and the view of everything from a twin peaks mid-century home. I might finally start going to the gym if I had it at home and as in one of those luxury buildings in SOMA, that have more amenities than one could possibly need. I would love to go outside my house and be greeted by the hippies in the Haight or the hipsters in the Hayes. These are only a fraction of all the neighborhoods that this city has to offer and going through them all in one blog post is impossible. The longer I live here, the more I love and appreciate the diversity and hub cultures in this city and I truly believe that what sets San Francisco apart, is its modest and unpretentious attitude. In this house we believe: Black lives matter, women’s rights are human rights, no human is illegal, science is real, love is love, kindness is everything. But mostly I love it because this is the home where I became a mother and it is by far the happiest and most memorable time in my life. It remains to see where our next home will be but I’m very happy knowing that it will be somewhere within this wonderful city. And I find it very comforting knowing that most residents in this city truly believe in the sign outside their door and spirit of San Francisco prevails across neighborhood borders, across our backgrounds and throughout government changes. I moved to San Francisco for love, for at the time boyfriend, then husband, now father of my children. And as much as I miss my family in Sweden, I’m still here for love. For the love of my little family who really thrives here, the love of my wonderful friends who live here and for the love of this amazing city San Francisco. A tourist might think San Francisco is beautiful because of its many iconic landmarks, such as the Golden Gate Bridge. A resident knows it’s beautiful because of the genuine and heartfelt people that live here. 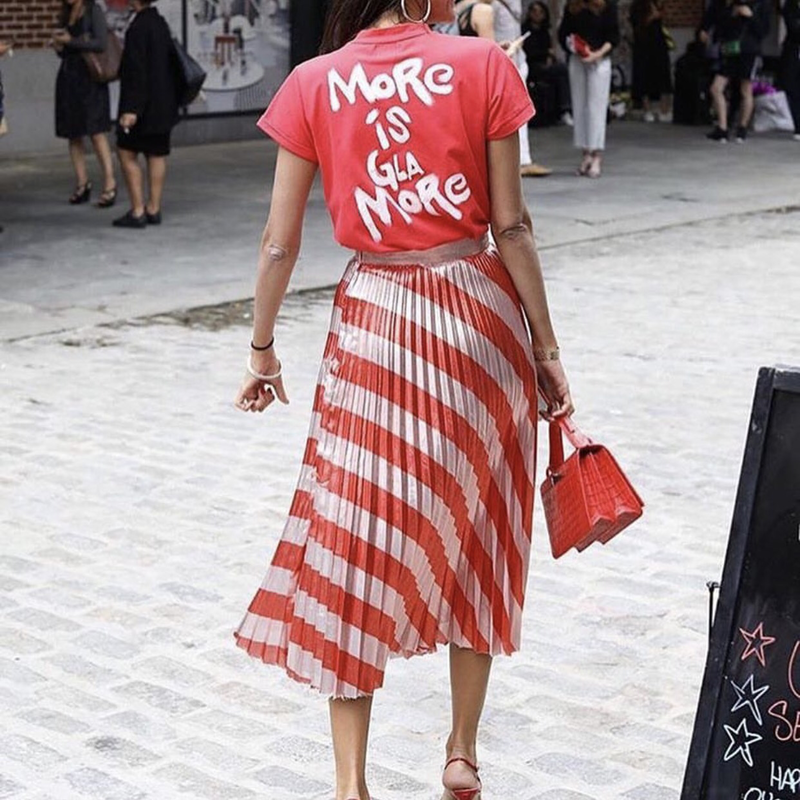 Ever since I discovered the amazing Giovanna Battaglia Engelbert I’ve been rethinking the importance of fashion. I adore her style! It’s fresh, it’s fun and always sophisticated but it’s never ever boring. When one has access to the complete world of fashion, the choices one makes bear significant weight and must utterly come from a place of love. And it’s easy to see that Bat Gio loves everything she wears! And so do we! Out of the many fashion lessons to be learned from the fashion legend, the most important one, in my opinion, is to love what you wear and to dear to express yourself. Now you and I can wear a little bit of Bat Gio too. 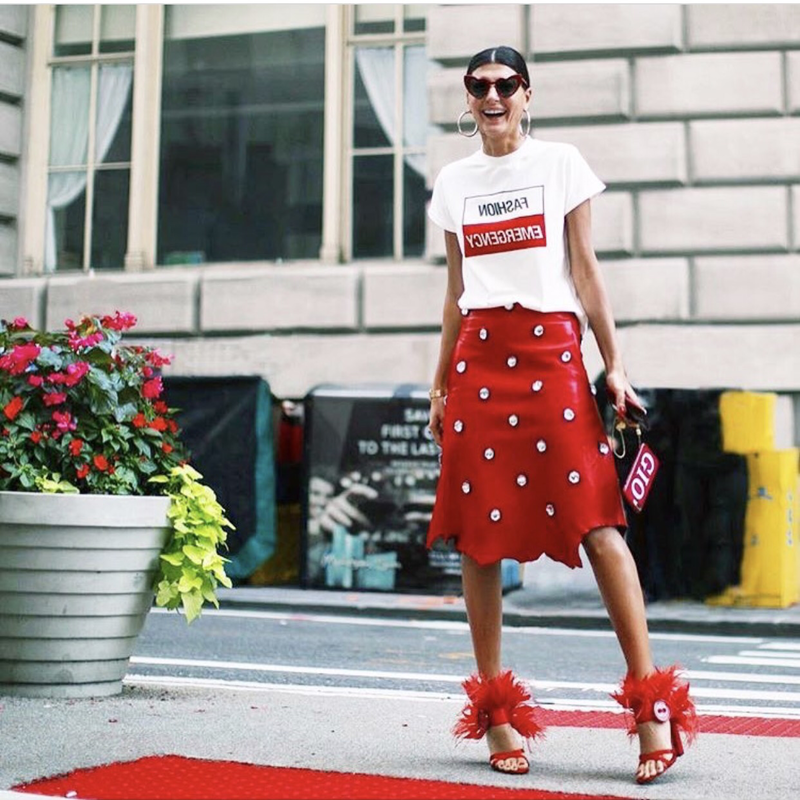 Her T-shirt collection just launched at Bergdorf Goodman and some of them are already sold out! I’m dying for the white one with the text ‘Being cool is a bore, being fun is glamore’. Honestly, it’s my second choice after the ‘fashion emergency’ one, but that one is sold out already. Although she has a long and prominent career already, I’m positive that this T-shirt collection is only the beginning of something much greater. And I also love that she seams to have the best relationship with here sister Sara (fashion designer)! Since I too consider my sister my soulmate, I feel that we have this in common. And look at Victoria Beckham rocking this t-shirt. Isn’t is wonderful when fall arrives and you get to wear layers and coats and real shoes again? Yes summer is lovely, but when it comes to clothing, fall is definitely my favourite. I love wearing dresses and skirts with boots and tights and thin coats and cozy sweater. Although I love the warm San Francisco fall, I miss the distinct shift in seasons that we have in Sweden. The fall trends are starting to hit the stores right now and here are my favourite fall trends and what I will be wearing this coming fall. Red is never really out of style, being such a feminine and classic color, but this autumn I think we will see more red than usual. I love the thought of mixing of different shades of red as well as textures. Personally I own very few red items, but I am definitely open to explore the red world. And since I usually don’t wear red, I will buy a few items that can easily be added to may current wardrobe. I definitely want a red bag and a pair of red or burgundy shoes. I think a red jumpsuit would be fun for going out and creating an all red outfit as well as a coat. A red midi skirt is something I can see myself wearing this fall, since I’m so in love with midi skirts. Here is how I’ve been wearing a little red as we transition to fall. I love clothes and I’ve done so as long as I can remember. Growing up, my next door neighbour was a seamstress and sewed dresses and gowns using what I remember being the most beautiful fabrics. I can still remember the vibrant colours and patterns of the fabrics. She would let me have the leftover bits and pieces that were not used and I would gladly take these and make dresses and other clothes for my barbie dolls. This was my absolute favourite activity growing up and my sister and I played with barbies until I was 14 years old. Yes, I know that is outrageously old for barbie dolls, but it’s true. Vintage shopping is one of my favorite ways of shopping. It is time consuming and you have to put in a lot of work in order to find that one special piece you’ve been dreaming of, but when you do, it will be so worth it. I have a Chanel silk scarf I bought at the swedish store Myrorna (Goodwill here in US) for 50kr (6$) when I was around 18 years old, and it is one of my most treasured pieces. Now days you don’t have to run around the city to find those rare shops, there is so much online. Shopping on sale. I am always on the search for the perfect clothes at the perfect prices. I love sales and I buy a lot of my clothes on sale. I’m not sitting front row at any runway shows and I’m not being judged by the worlds fashion elite, therefore it doesn’t matter if my clothes are one, two or ten seasons old. The only important thing is that I love them and how they make me feel. Following the fashion trends. I don’t follow all trends. I follow trends that I like and that I think fit well with what I already own. I am hoping to build a wardrobe that is timeless and that will feel fun to wear season after season. This is of course very difficult and most clothes can feel old and boring after a while. I buy trendy clothes if I can see that I will use them for more than one season. Mixing high end with low price brands is inevitable for most of us. There are some wardrobe items that are worth investing and then there are some you can easily buy at H&M or similar. There is a lot on this topic online, but shortly put, invest in the classics and the things you will use the most and items that have to fit properly. Spend less on trendy items and items you will only wear ones or twice. Accessories. You have probably heard it before, the importance of accesorizing and how they can make an outfit. Personally I believe less is more when it comes to accessories. It a fine line between when the accessory is complementing your outfit and when it’s taking over the whole show. Therefore I’d rather have less accessories than too much. I mostly love smaller jewelries but do occasionally wear large earrings or a statement necklace. I adore silk scarfs and use them all the time. Sustainable fashion is a term you probably have heard before and something rapidly growing. I believe this is the future in the fashion industry and something definitely worth exploring. You don’t have to be an expert to know which brands are the good ones and which are the bad ones. I think it’s more important to have some general knowledge and common sense about the way we consume. Taking ownership of my style is something I’ve been working on my whole life and still struggle with from time to time. It’s very easy to be influenced and inspired by others and that’s a way to grow and to see things with new perspectives. But at the same time, staying true to your personal style is also important. The goal when dressing isn’t to become someone else, but rather to empower yourself and feel confident that you can accomplish whatever it is that you are aiming for, if it’s a job interview or a cute date or a tough work out. Most importantly I think it is to wear clothes that you love and that make you feel beautiful. Thanks for reading and hope you enjoyed this! I’m a huge lover of my (many) little black dresses. They work for all seasons, they work with most accessories and I can always count on them. And then each spring and summer, the florals enter the stores and brighten things up. But there is one thing I especially enjoy in the summer and that is a beautiful and bright coloured dress. I prefer this over a floral dress for many reasons. Having lived in Sweden most my life, summer is the time of year when I can go bear legged and wear light coloured bottoms. However, now that I live in San Francisco, this is no longer the case and I can wear whatever I want most of the year. To me it’s pink, it has always been a favourite, especially hot pink or fuchsia. So for this summer, I suggest you add one more dress to all the florals. Choose your favourite color and find a well fitted dress in that color. Match it with neutral shoes and accessories and keep the make up light. Then proudly accept the many compliments you will get when you enter a summer party. The cold evenings, the ladies lunches and perhaps the date night, all could use a good blazer or jacket you can casually through on. 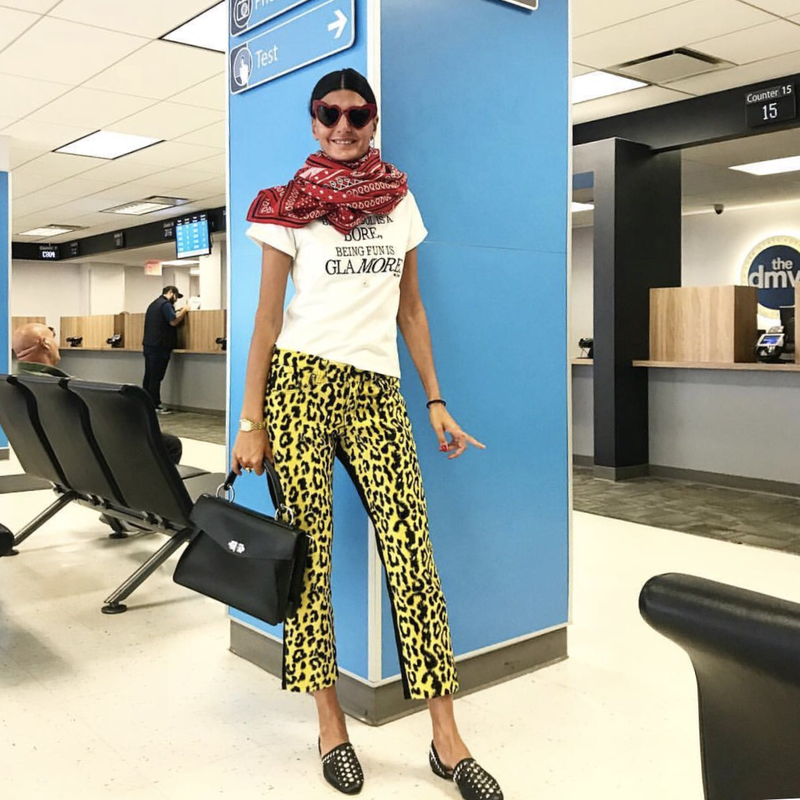 Summer means travel, and to me it is important to pack versatile pieces that allow me to travel light. And especially if you travel with kids, then you probably already know that you need to make each piece count. Each summer, I like to have a white, off white or cream coloured blazer in a fitted cut. However this year, the blazers are looking more maskuline and the cut is looser. So if you have a white favourite blazer, go for it. But if you’re looking to update your summer wardrobe, look for a looser fit, longer hem line and softer fabric. Wear your white blazer with denim and heels, or with a floral dress and a pair of comfy slides. Or dress up your favourite shorts by throwing on the blazer.